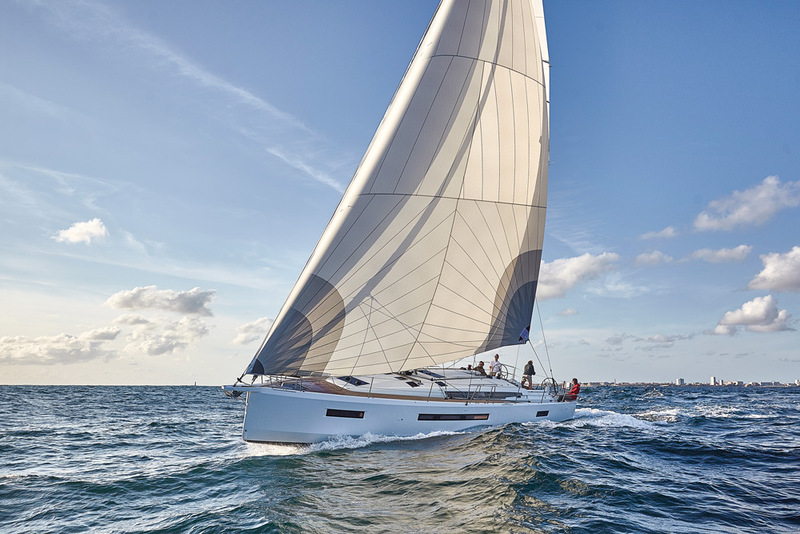 Like the 440, the larger sibling in the new Jeanneau Sun Odyssey line is designed to offer performance cruising in a unique package. The interior layout is new, with the galley located forward in the saloon, to port of the large settee. Aft of the galley is a magnificent nav table that is easy to access from the cockpit. With a large sailplan and innovative comfort features, this should catch the eye of many sailors. LOA 48’6”; Beam 14’;5” Draft 7’4”; Displ. 24,890 lbs. ; Ballast 6,327 lbs. ; Sail area 1,195 sq. ft., www.jeanneauamerica.com. Scheduled show: Strictly Sail Miami, February 15-19, 2018.